Burritos and Fortnite… What’s not to like? TSM’s Fortnite: Battle Royale team has signed a new sponsor, and it’s one that many gamers can likely get behind. Chipotle and TSM announced their partnership today, with Chipotle becoming the official sponsor of the TSM Fortnite house. On Jan. 10, the popular esports organization revealed its expansion into Fortnite: Battle Royale with the signing of team captain Ali “Myth” Kabbani. Over a month later, the team announced the arrivals of Darryle “Hamlinz” Hamlin, CaMiLLs, and Daequan, completing the roster. And just three months after the full team was announced, TSM revealed that it had bought a house for them near its League of Legends team house in California. This quick progression is likely due to the immense popularity of the game first and foremost, but the popularity of TSM and its players is probably also a major factor. 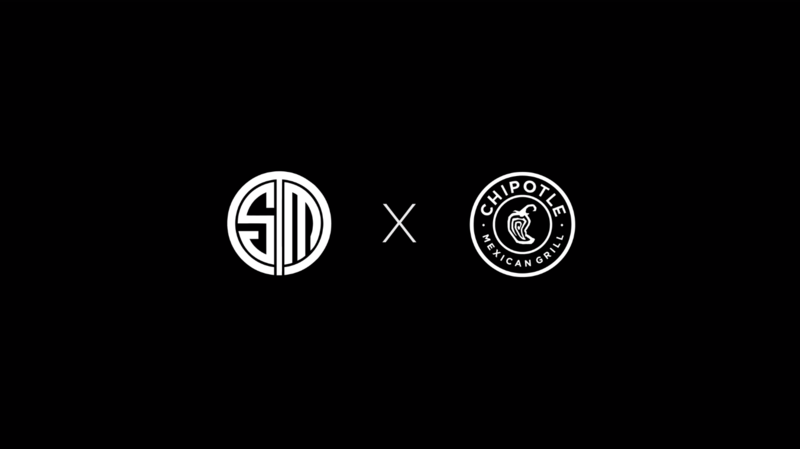 Chipotle made its entrance into esports last August when the company became a sponsor for OpTic Gaming. The food chain also gifted popular Fortnite streamer Tyler “Ninja” Blevins a celebrity card in February, which allows him to get one free Chipotle burrito per day. With TSM grabbing yet another high-profile sponsor, which will join the likes of Dr Pepper, Gillette, HTC, and more, fans are likely wondering which company will sponsor the esport giant next.